My latest project, was to find a good homework/art area for my 2 boys (ages 9 and 6). They have cute little plastic desks that they have had for 3 years now, and are really starting to out grow them. We are so tired of the constant mess of art supplies, paper and them never knowing where a pencil is when it is time for homework. Since we recently re-organized our study area, I thought it would be a good time to up grade their desks. 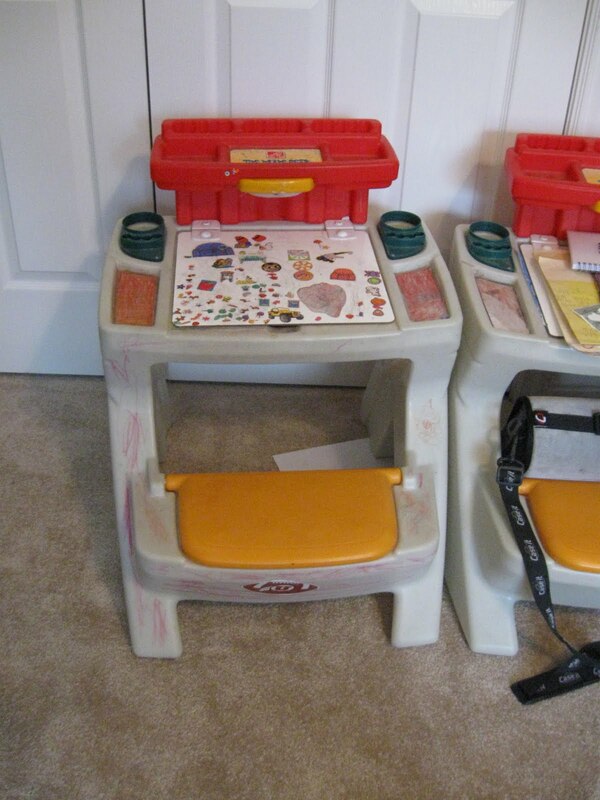 This is a picture of their current desks, they have been good desks but are just not cutting it these days. 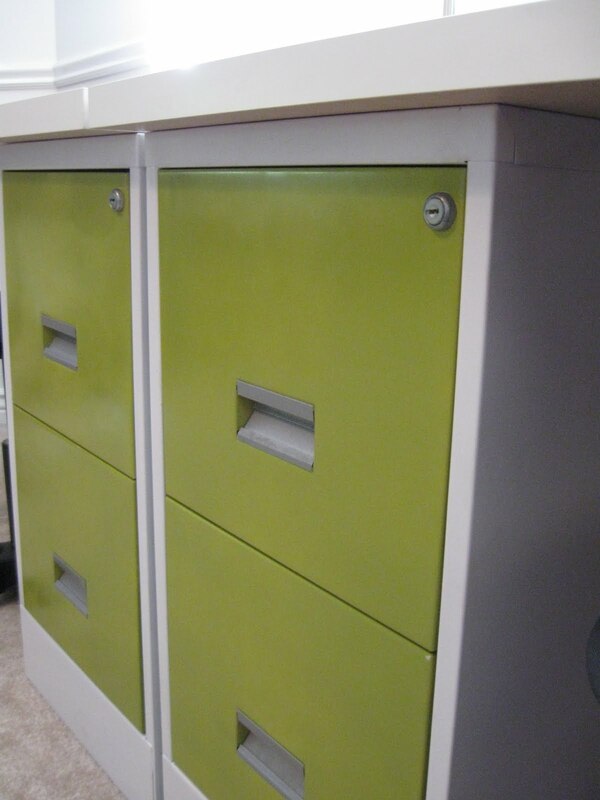 I started out with the idea of using a filing cabinet for the drawers, lots of space for all their supplies. We found these 2 identical two drawer filing cabinets at the DI thrift store for a whopping $7 each. Next we went to the Ikea for a table top. We considered making one out of wood ourselves until we found these at Ikea for $5.99 each, an amazing deal. I like these table tops not just for the price but also because they were already smooth, which didn't need any work. Also, I wanted them white anyways so it worked out perfectly. We also bought just one adjustable leg and a chair from Ikea for each desk. The cost of the leg and chair $30. 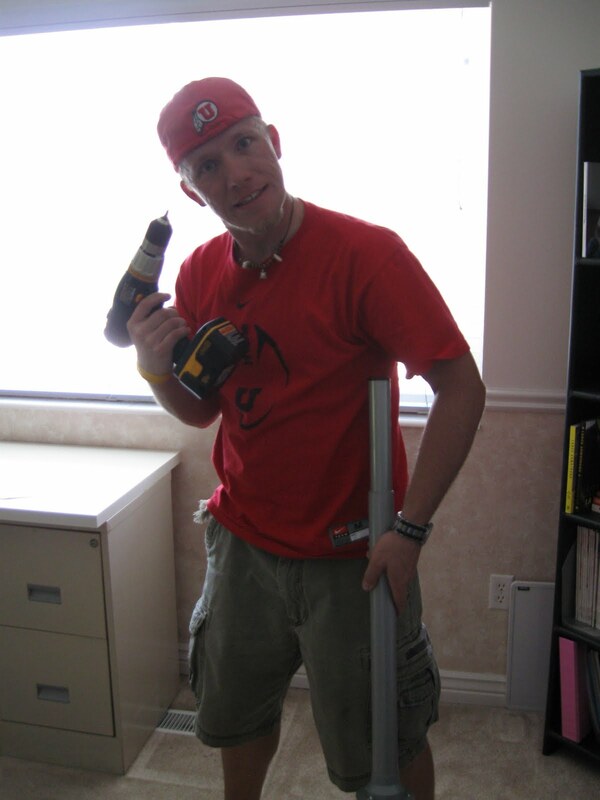 Erek is my little handyman, he is just as involved in these projects these days as I am. But he loves it, I'm sure. He help put it all together and made sure it would hold up to the abuse my boys will give it over the next few years. Here is what we were in visioning. Last, I wanted to add some color. I wanted to do something fun that the boys would like and to also make them look cool in our office area. All we had to do was spray paint the filing cabinets. First, I use primer, just Kyron spray paint kind. Then, we painted the base in just a semi-gloss white from Krylon. On the drawers I also used Krylon Ivy Leaf. I totally love how it all came together. I love the Ivy Leaf color and how the drawers just pop. Total cost of the project $43 for each desk! I'm way excited to have a great place for the kids to work on their home work. They love having a place of their own that they can organize and work on projects. Lisa, you amaze me. These are just perfect! Way cute.